Online tee times are not availabile for Porto Santo Golfe. 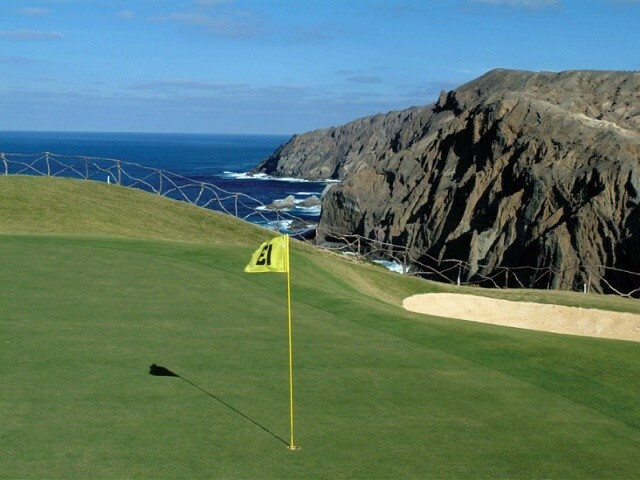 Porto Santo Golf Course is a 18 hole located on a popular nearby holiday island to Madeira named Porto Santo. The architect of the course was the late champion golfer Severiano Ballesteros who has created two separate circuits of 9 holes making an overall Par 72. The layout is very impressive with cliff top fairways and immense ocean views. To add to game there is also a 9 hole Pitch and Put taining course with convenient night lighting. A planned second phase is the construction of a further completely new 18-hole course. It is to be developed on land to the north of Ana Ferreira Peak and will also comprise 8 Tennis Courts and a Horse Riding Centre. To post a review, score or a notice on Porto Santo Golfe page's or to connect with other Porto Santo Golfe golfers, please log in to your account or sign up using Google or Facebook.